In honor of my current flock of chickens!! 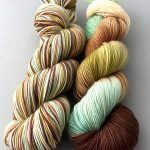 I have been wanting to create a colorway based on their eggs colors since they are so pretty. Last Spring thanks to Toni I now have Some Black Copper Marans . The Marans are the ones that they lay those deep red brown eggs that are so stunning!! I love them. And the hens themselves are just delightful. They are lovely and super friendly. I am planning a fun special with these three beauties and a special pin to go with them so look for soon! I have noticed that a fair amount of you are ordering yarn to knit or crochet blankets so I am thinking we should do a summertime blanket along!! And ya know why?? 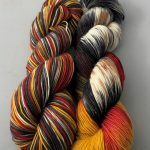 Cause I seriously want to knit a chicken themed blanket with all of the chicken colorways and…I’m gonna need support. 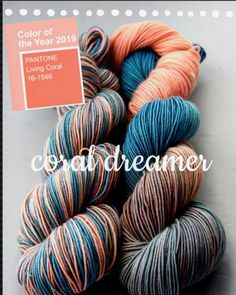 So maybe you would like to use some of your stash yarn to knit a blanky?? 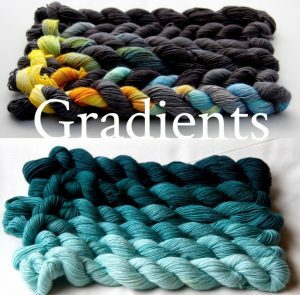 A gradient blanket would be pretty too eh?? Ohhhhh …..wait a MOON blanket with all of the moon colorways or the ravens. Okay. I’m gonna need to give this a think. 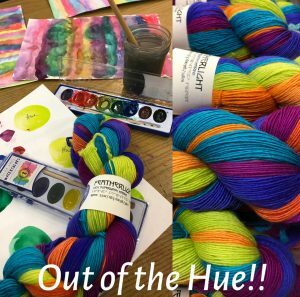 Out the Hue has shipped and the pdf’s will follow this evening!! 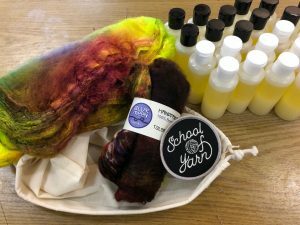 School of Yarn Silk Road has also shipped and pdf’s to follow also. I seriously had fun making the special scrub to use while working with the hankies. The watercolor aspect of the color club was great fun also. I hope you all enjoy working with all of these tools as much as I did creating them!! 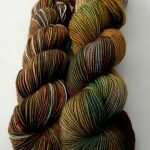 Okay so do you see the difference between these two skeins of yarn? They are both BFL Sport. You see how one is plied looser than the other? Well they are from two differing lots from the mill. 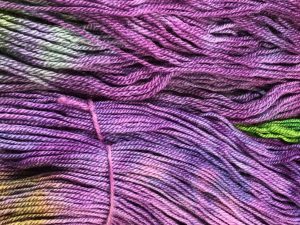 Lots are important not just in color but in yarns also and this is why. Especially when you are the dyer or the person ( knitting, crocheting and weaving ) it. Half way through our whole BFL special we got two different lots that were unmarked which makes our jobs seriously difficult. It’s one of the reasons getting all of this out to you took longer than anticipated. Also then the cost turns out to be more because of how labor intensive it becomes. 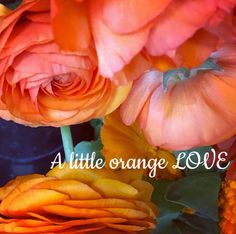 I’m not sharing this with you as a complaint but to educate as to what goes on for us hand dyers and small yarn companies and to the importance of lots!!! Okay I am going to go run a few errands since I teach all day tomorrow! Look for our Baawk Baawk Fun coming very soon!! 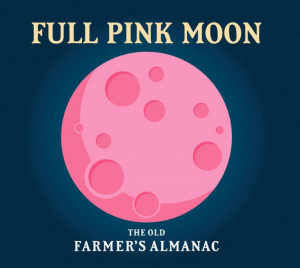 Our next full moon colorway is going to be PINK!